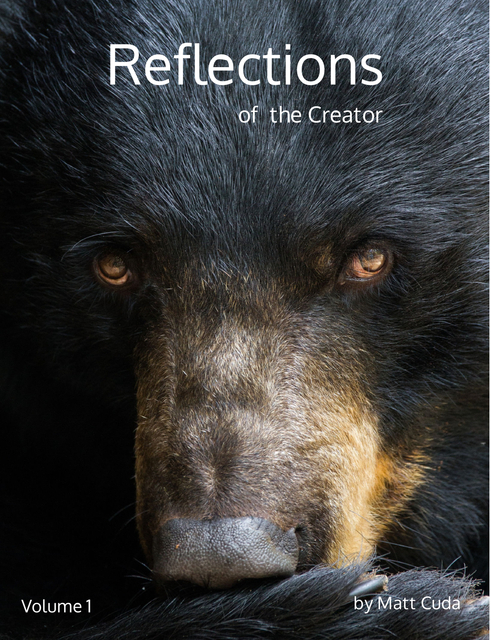 The first volume in a yearly journal which explores wildlife and nature photography. Each issue includes valuable information about Matt Cuda's journey as a wildlife photographer. At the end of each article, equipment tips and tricks are provided to help you become a better photographer. Matt Cuda is an award winning photographer located in Forsyth County, North Carolina who specializes in eastern United States nature and wildlife photography. Schooled in journalism and media from Liberty University, his photography has been published in numerous publications and web sites. Because of Matt's journalism background, his style reflects a natural view of the world untarnished by heavy post processing and over production. It is his sincere hope that you enjoy this site and experience nature through his eyes.